Announcement 20% OFF + FREE SHIPPING! Laura Trevey is the founder and designer of her colorful home decor brand as well as the creative director of her lifestyle blog LauraTrevey.com. 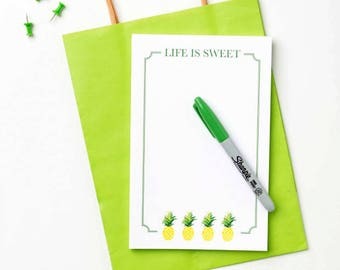 The Laura Trevey Brand delights in bringing joy and passion to each and every consumer through uplifting watercolors that inspire you to live life at your brightest and happiest. Our products take you on an authentic journey to be bold and to influence your own happy. Whether you are dressing your bed in one of our fabulous duvets, or rewarding yourself with some new wall art we are so happy to be a part of your colorful life! 20% OFF + FREE SHIPPING! Laura Trevey is the founder and designer of her colorful home decor brand as well as the creative director of her lifestyle blog LauraTrevey.com. 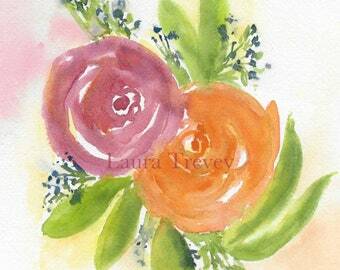 The Laura Trevey Brand delights in bringing joy and passion to each and every consumer through uplifting watercolors that inspire you to live life at your brightest and happiest. Our products take you on an authentic journey to be bold and to influence your own happy. Whether you are dressing your bed in one of our fabulous duvets, or rewarding yourself with some new wall art we are so happy to be a part of your colorful life! Lauren, I love everything I have rec'd from you!! This "Sailing Watercolor Print" is so much better in person. It is gorgeous! I wish I had more wall space! Please try anything from Lauren and you will be so happy. She is very easy to communicate with. Thanks again Lauren!! Tulips in Blue is so colorful. The tulips and the background color are perfect. I wish I could buy all of your art! Packaged very well and fast shipping. Buy!! You will be so glad! 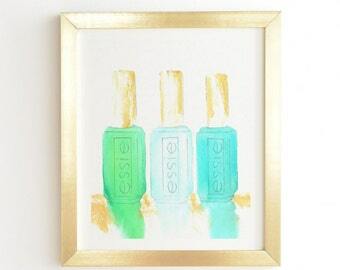 This is perfect in my coastal living room. Colors and size are just right. Add a pop of color to your room with our line of throw pillows! I am inspired by the beautiful beaches and palm trees of the Caribbean. Shop our 9" x 12" prints selection with over 40 to choose from! The "go-to" pouch - perfect for cosmetics, pencils, phone or what have you! 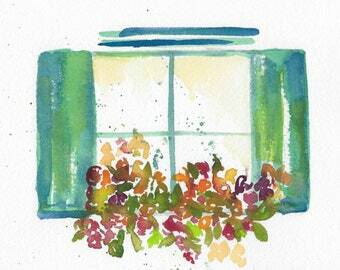 I love to paint in bright bold and beautiful color! 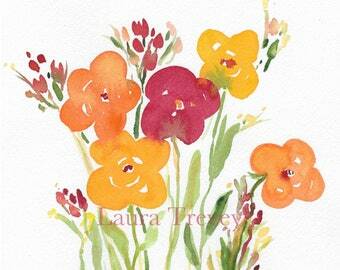 Watercolor artist Laura Trevey inspires us with creative ideas for living beautifully. Bright colors & bold patterns are the foundation of Laura Trevey designs. Subscribe to lauratrevey.com for the latest news and sales.